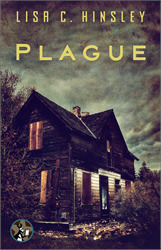 Lisa Hinsley’s PLAGUE is an enthralling debut thriller written in the vein of Contagion, in which a young couple struggles to save their plague–stricken son as they desperately fight back against a tyrannical government. Read below to get exclusive insight into how Hinsley came up with the idea for this gripping page-turner. Bubonic plague is a bogeyman disease. It has made appearances all over the world, leaving death and heartache in its wake. From accounts hundreds of years old to incidents occurring in the present day, the bubonic plague is a part of our history and future. It’s fair to say I’ve read a few apocalypse-style books and watched movies depicting end of the world scenarios, and I’ve wondered to myself: how would I cope? I wouldn’t have a clue about the origins of the outbreak or the battle the scientists might be engaged in as they try to stop impending human extinction. I wouldn’t care about what heads of state might be doing. I’d be looking after my loved ones, worrying about my extended family and trying to survive each day. It was this line of thought that became the beginning of Plague. Curious about the history of the disease, I read Daniel Defoe’s novel, A Journal of a Plague Year. Although a fictional account, this book gave a detailed insight into the plague in London during the year 1665. But this raised more questions: how would our modern society try to stop the spread of sickness? To what lengths would the authorities go to contain the disease? With these questions whirling around my head, I started to write. Liz, Johnny and their young son Nathan appeared, the boy sadly showing the first signs of illness. After the family is quarantined in their house with the symptoms progressing, they are left to their own devices, coping as best they can. Instead of looking at the macroscopic level of a disease outbreak, Plague focuses on the minutiae of a family as they try to manage under horrific circumstances. I hope if I was ever faced with a situation like this, I might cope as well as Liz. Hug your family, tell them you love them, and pray that a bubonic plague outbreak in our cozy, secure world never becomes a reality. If you love virus thrillers like "Contagion," you'll love this edge-of-your-seat, dystopian fever dream!